Affordable Art, Paintings, Limited Edition Prints, Sculptures & Irish Art Fairs. 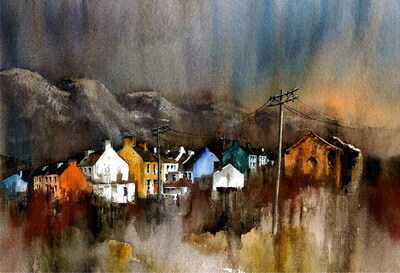 The expression affordable art when used in connection with Irish Artists and Irish Art is difficult to define. The true meaning and understanding of affordable art remains a personal issue. Affordable art means different things from one Irish art buyer to other. 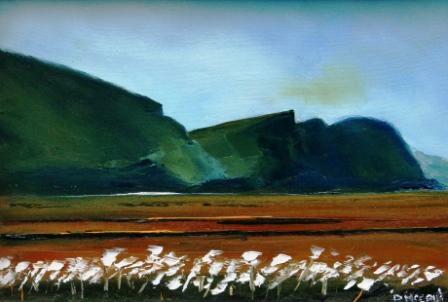 Affordable Irish art for one art enthusiast is totally unaffordable art for the next. However a widely held view in the Irish art world is that affordable art, paintings and Limited Edition Prints covers everything up to £3000. The budget of most art collectors does not reach anywhere near £3000, which is why Red Rag offer a choice of Irish art at much lower and affordable. Red Rag look to promote the work of Irish Artists with prices starting from as little as £250. There are also a number of other Irish Art Galleries who specialise in helping art buyers find art at affordable prices. Rather than art galleries graduate art shows offer another option to consider in searching for affordable art. Irish Art Schools and Colleges stage annual art exhibitions for graduating artists where a wide variety of art works can be viewed. The art work of most of the graduates participating in the shows can be bought. The concept of finding and buying great art work from Irish art students at the start of their career is very appealing and the art should be very affordable. However as is often the case that perception and reality can be very different. The quality and type of art displayed at the art college shows is incredibly varied. Some students can also over price the value of their work which means buying art from graduate shows is not always the best Art Investment. As very few art graduates go on to become highly successful professional artists ' therefore if future art values are a concern, then buying affordable art from already established Irish artists is certainly a less risky investment. It is worth remembering that just because a desirable Irish art work maybe affordable it does not necessarily make it value for money. The majority of Irish art buyers are making a long term decision on an item which will be kept for many years. It makes sense before purchasing to carefully consider if potential art works are likely to create the same enjoyment in 10 years time. If the answer is yes and it is affordable art then buying from graduate shows can be a good source of Irish art. The explosion of art related websites should be a good source for buying affordable art from Irish artists. As always the challenge with the Internet is finding exactly the right thing. There are hundreds of websites promoting and offering affordable art from all over the world. There more than 20 million references showing on search engines for the term 'Affordable Art'. Many of the art related websites are artist owned or purely Internet 'Art Galleries'�. Disappointingly quality and service can be very poor and Irish art buyers need to be cautious before parting with their art funds. Throughout the year various art fairs take place attracting art lovers and buyers of affordable art. The most well known name is the 'Affordable Art Fair' which is held in London. All art works featured at the Affordable Art Fair' is priced at less than £3,000. The Affordable Art Fair's formula is relatively simple: a relaxed, unstuffy environment and a price ceiling of £3,000. There is a huge array of paintings, sculpture, photography and art prints. Other art fairs follow a similar format including those in Ireland. 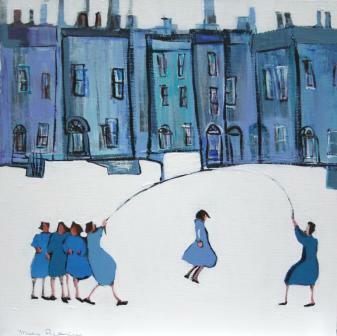 RDS Dublin is one of the leading Irish visual art fairs. It showcase over 100 Artists and Galleries from Ireland and abroad. RDS also features art work from emerging Irish artists. Lectures from leading artists and prize-winning art works are exhibited from the RDS Student Art Awards. 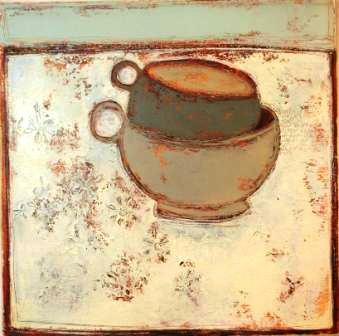 Other well established and successful Irish art fairs take place annually in Cork and Kilkenny. Whether you are serious Irish art collector, a casual buyer or just interested in contemporary art, art fairs are a good place to view art in Ireland. For art lovers and collectors buying art from Red Rag does not have break the Bank. The gallery provides the opportunity to buy high quality paintings and sculptures which are affordable and without having to purchase from unknown artists and art websites. On going interest in affordable art has also resulted in Red Rag promoting high quality Limited Edition Prints which are always readily available from the gallery. Limited Edition Print prices from Red Rag are very affordable. Print prices start from under £100 for a framed limited edition print. There are many artists with art works in Limited Edition Prints. Follow the link to see the full collection of Red Rag Limited Edition Prints. Red Rag artists offering art work as limited edition prints include: Paul Brason, Louis McNally, Paul Robinson and David Schofield. In summary there is a plethora of affordable art being promoted through art websites, graduate shows and art fairs. However, finding really good quality Irish art at affordable prices is much more challenging and is extremely time consuming. There are opportunities for art collectors to own good works at reasonable prices, but when buying it is sensible to choose carefully from well established and trusted art professionals such as Red Rag Gallery.